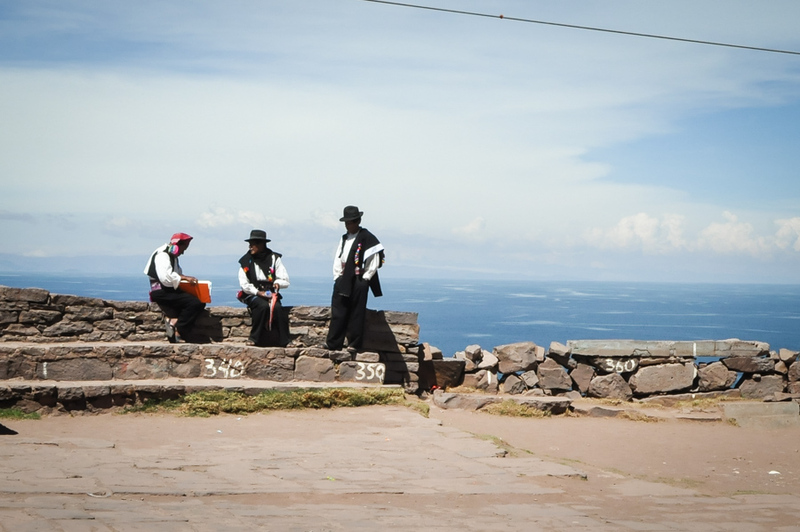 It’s the most visited stop in Peru right after Machu Picchu – Lake Titicaca. 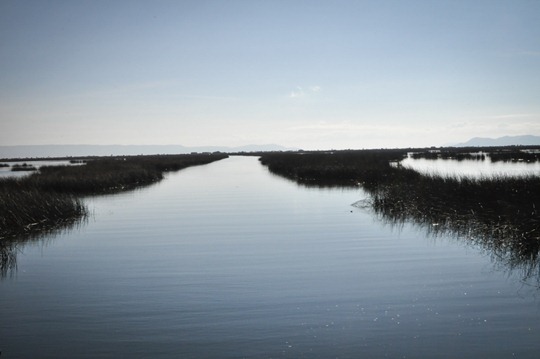 And because it’s also fun to say I’m going to Titicaca like Beavis.. haha. 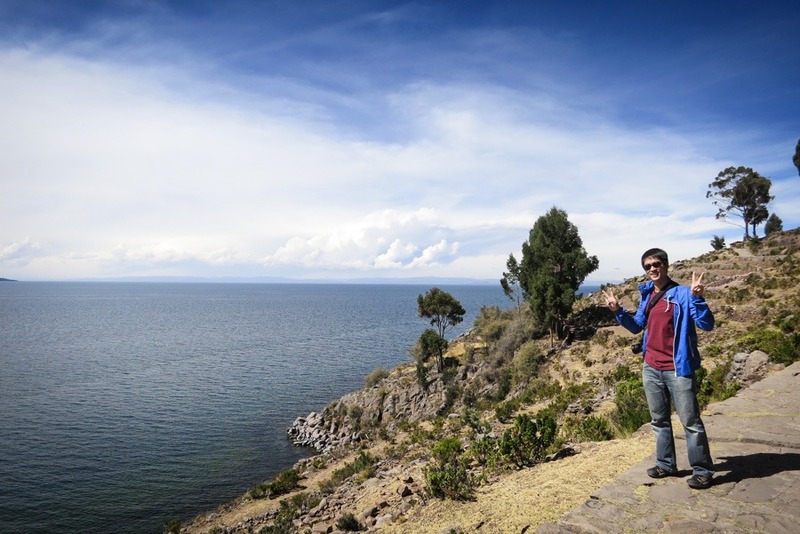 Sitting above 12,500+ ft, Lake Titicaca is the highest navigable lake in the world. Andean legend states that civilization itself was born out of this lake when creator God Viracoca created the sun, moon and the first human beings. With those two selling points, it’s hard to pass up on visiting this place. We booked a day tour through our hostel. By now, we figured it was not only convenient but also the affordable route to go rather than spending time price shopping different agencies. 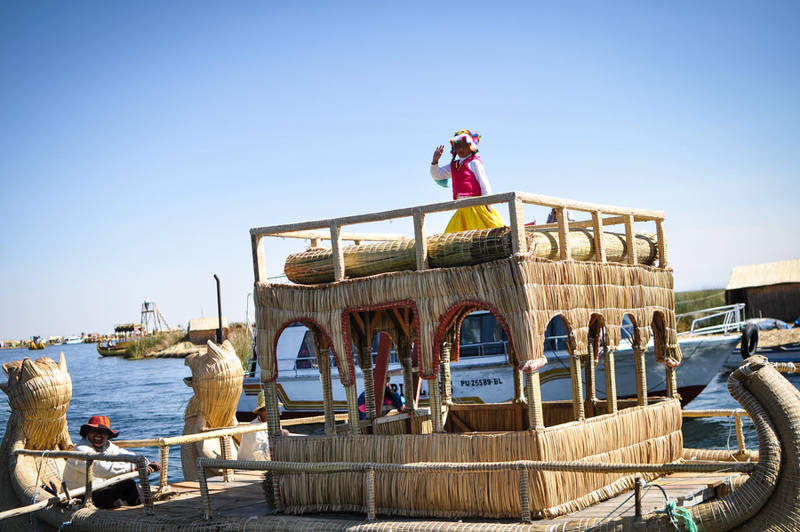 Immediately when the boat made its way down the water towards Uros and the floating villages, I noticed the bright colored clothing in the distance. And what’s eye-catching is that every village or essentially family compound has their own unique style and signature color they donned. We visited the neon green and orange one. 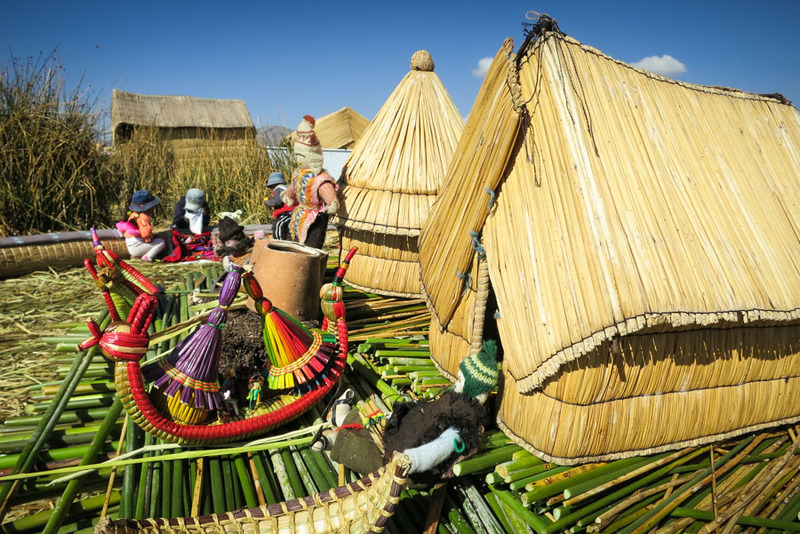 Once off the boat, we’re seated in a round circle and the family shows us their way of living and how the compound works, how they live off this artificial island made of floating reeds. Then each individual family takes you into their hut where a radio with a 5 inch black & white TV is their form of entertainment. After the hut, you’re told the family makes their living selling handcrafted items. By now, I started to feel a little obligated to buy something so I went for the smallest ticketed item – a simple necklace. After touring the compound, we were told to take the canoe-looking boat across the river to the other side where our boat is awaiting. The catch – we had to pay for the ride but there was no other way to get across. Sneaky… but it actually was inexpensive and quite enjoyable to see the men foot-pedaling us across. After a brief stop on the other side, we hiked up to the town square which was killer. I was complaining all the way until I ran into little girls carrying supplies more than half their weight up the same hill. Insane! Once on top, lunch was served at a nearby restaurant. I really enjoyed the grilled trout from the lake with potatoes and salad. After lunch we hung around the town-square people watching. After lunch, we started our walk towards the boat. This time it was all down hill which was a relief. The walk wraps along the coast and is my favorite part of the day. 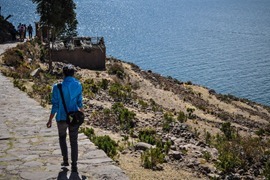 I enjoyed the gentle breeze of the lake guiding me downhill. It’s a casual stroll on a wide stone-paved walkway passing huts and layered hillsides that resemble rice paddies. 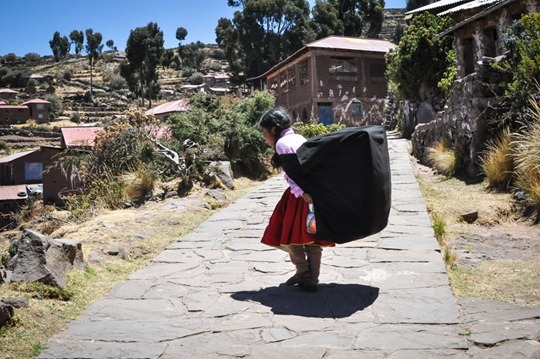 Along the way, you’ll find little Bolivian girls selling handmade bracelets for 1 Boliviano. They make great souvenirs.. and cheap too – I bought 3! 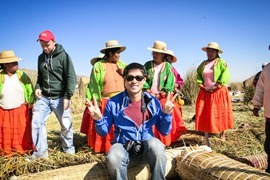 Once back on the boat, it was another 2-hour ride before we landed back in Puno. Our car pick up never showed. Our guide decided to just get us all taxis to take us home. And that wraps up our day on Lake Titicaca. Now having done it, I’m not sure I would have enjoyed the overnight excursions, which are available. One day on the Lake was enough for me. 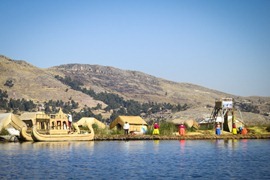 Is Lake Titicaca on your places to visit in Peru list? when i went to peru, we only did the northern half of the country to avoid touristy places. but i love seeing people’s experiences at them! 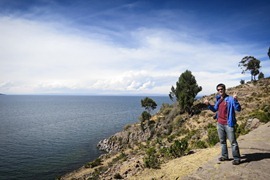 after 6 weeks of nothing but fried chicken and rice up in the north, i was dying to head south to lake titicaca for some trout! 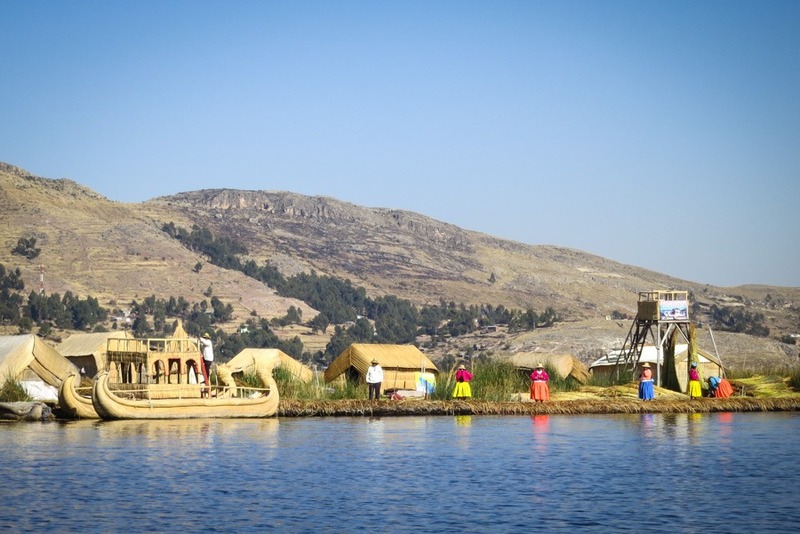 I’ve seen pictures of the floating houses on Lake Titicaca and am wondering about how touristy the place gets, because more often than not a lot of traditional villages have been turned into merely tourist attraction. 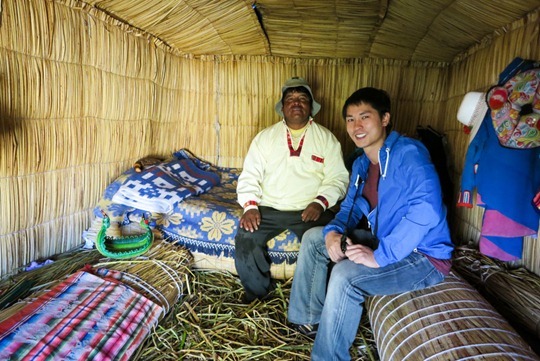 However, I believe I shouldn’t miss this place when I go to Peru one day.